Successfully saved Farmhouse Buttermilk Cake to your Calendar. You can also save the ingredients to your Grocery List. This old-fashioned brown sugar cake derives much of its delightful texture from buttermilk. 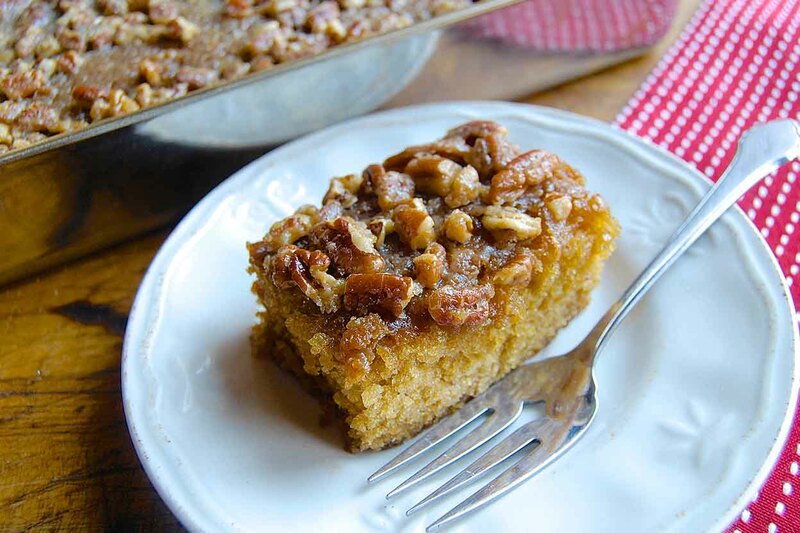 The nutty pecans and sugar on top are a perfect complement to the moist cake underneath.